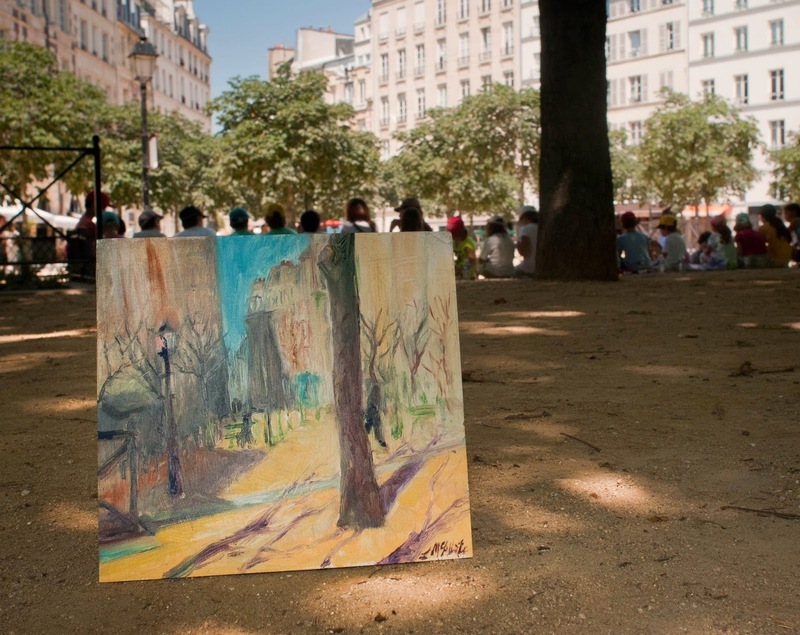 Lost Art continues in Paris again this week, this time at the Place Dauphine on the Île de la Cité. So far, there have still been no confirmed finds in Paris, so some lucky person has a chance to become the first Parisian participant if they discover this painting! I'll be in Paris again next week, and then out in the countryside for a few weeks (where I might leave a painting in some unsuspecting small village!) so this might be the last couple of chances to find one in Paris before the fall. Let me know if you or anyone you know might have found one! And I hope you're all having a great summer! 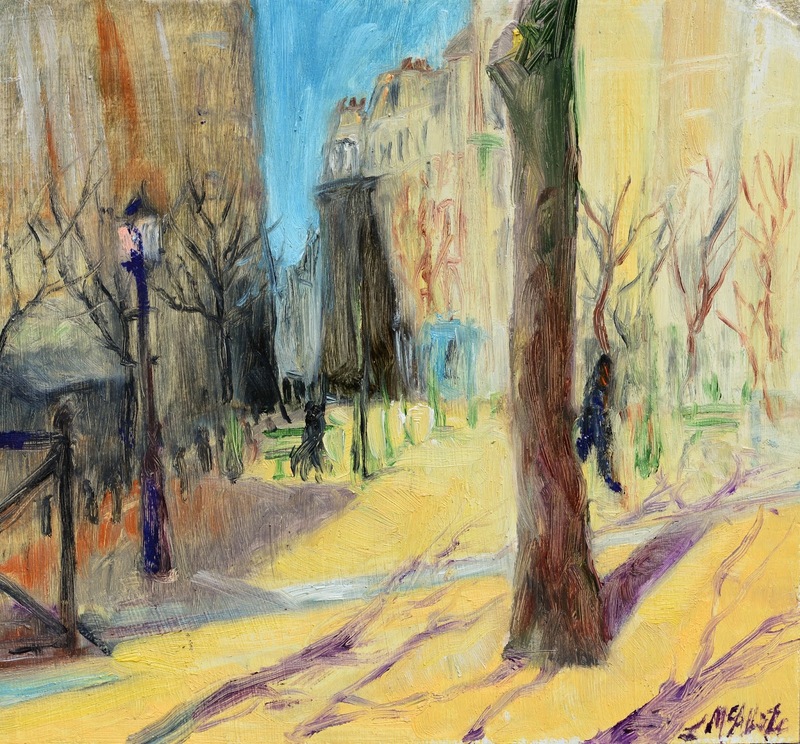 This painting, oil on found hardboard, 22.2 cm x 20.5 cm, was left at Place Dauphine on July17, 2014 at 1pm.